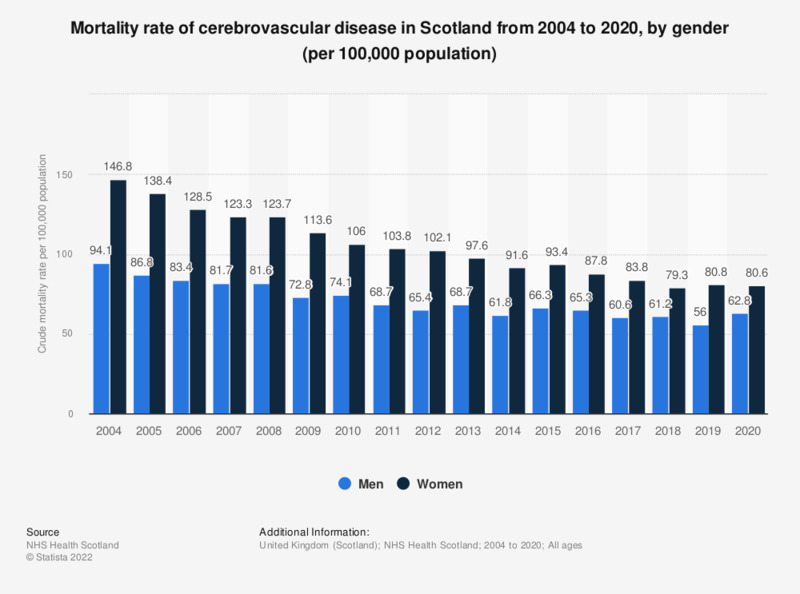 This statistic displays the mortality rate of cerebrovascular disease per 100,000 population in Scotland from 2004 to 2017, by gender. The mortality rate from cerebrovascular disease declined over the period observed. In 2017 the mortality rate for men was 60.6 per 100,000 population and the rate for women was 83.8 per 100,000 population.